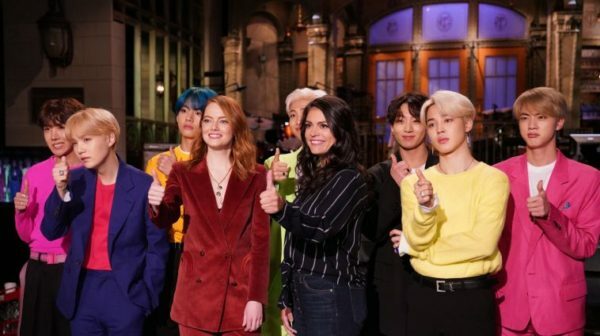 Last night, BTS became the first Korean artist to perform on ‘Saturday Night Live‘, giving a debut performance of “Boy With Luv“, as well as doing “Mic Drop (Remix)“. Yeah, I do understand complaints about “Boy With Luv”, but I still definitely enjoy it. Also think including the dance break in “Mic Drop (Remix)” was smart.